Company Show All Apollo (Mauritius) Holdings Pvt Ltd Apollo (South Africa) Holdings Pty Ltd Apollo Tyres (Cyprus) Pvt Ltd Apollo Tyres (Germany) GmbH Apollo Tyres (Greenfield) B.V. Apollo Tyres (Hungary) Kft Apollo Tyres (London) Pvt Ltd Apollo Tyres (Middle East) FZE Apollo Tyres (Thailand) Limited Apollo Tyres (UK) Pvt Ltd Apollo Tyres Africa (Pty) Ltd Apollo Tyres AG Apollo Tyres B.V. Apollo Tyres Cooperatief U.A. 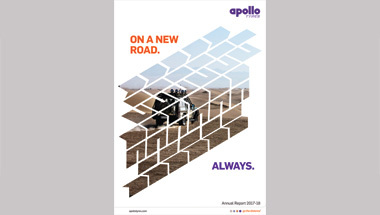 Apollo Tyres Do (Brasil) Ltda Apollo Tyres Global R&D B.V Apollo Tyres Holding (Singapore) Pte. Ltd Apollo Tyres(Malaysia) Sdn Bhd Apollo Vredestein (UK) Ltd Apollo Vredestein B.V. Apollo Vredestein Belux Apollo Vredestein GesmbH Apollo Vredestein GmbH Apollo Vredestein Iberica S.A Apollo Vredestein Kft Apollo Vredestein Nordic AB Apollo Vredestein Opony Polska Apollo Vredestein S.R.L Apollo Vredestein SAS Apollo Vredestein Schweiz AG Apollo Vredestein Tires Inc ATL Singapore Pte Ltd Finlo B.V. Reifencom Einkaufsgesellschaft, GmbH & Co., Hannover Reifencom Gmbh, Bielefeld Reifencom GmbH, Hannover Reifencom Tyre (Qingdao) Co. Ltd. S.C. Vredestein RO S.R.L. Saturn F1 Pvt Ltd UK ATL Holdings Limited Vredestein Consulting B.V. Vredestein Marketing B.V. Vredestein Marketing B.V. & Co.KG Vredestein Norge A.S.
Reifencom Einkaufsgesellschaft mbH & Co.
Apollo Tyres Holdings (Singapore) Pte. Ltd.